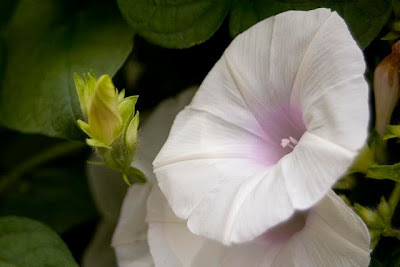 Poetry Friday--"Bees and Morning Glories"
This is the start of the Labor Day weekend. Humans work, but not nearly as hard as the little bees who are responsible for pollinating the plants that provide us with our food. So, for this Labor Day, I'd like to celebrate the little workers by sharing this poem by John Ciardi called "Bees and Morning Glories." From The Collected Poems of John Ciardi [811.52 CIA]. Don't you just love the idea of bees as pirates? I don't think I'll ever look at them the same way again! 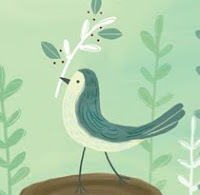 Have a great weekend, but before you go, stop by A Teaching Life for the Poetry Friday Round-Up. See you on Tuesday! Not much I can say after watching that! If you've ever hesitated about learning to play an instrument, think about trying it now! We have instructional materials such as the "Learn to Play" series by Frank Cappelli. The Trumpet: An Illustrated Step-by-Step Instructional Guide [788.92 CAP] is one of titles. We also own The Flute [788.32 CAP], The Clarinet [788.62 CAP], The Violin [787.2 CAP], The Piano [786.2 CAP], and The Guitar [787.87 CAP]. As kids go off to school, send them with idea that many things are possible, but only if they are willing to invest their time, and, to play from the heart! Dear Reader: KK is taking the week off from posting. It's vacation time! A stay-cation this year. If you're having a stay-cation, check out our "Travel Close to Home" Pinterest board for ideas of places to visit within an hour or two from here. Also check out our travel section where we have scads of books on travel in the New England states. 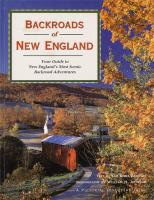 Here's one that may be of interest: Backroads of New England: Your Guide to New England's Most Scenic Backroad Adventures by Kim Knox Beckius [917.404 BEC]. I'll meet you back here on the 29th! It used to be that parents could name their children whatever they pleased, but, this no longer seems to be the case if you read the news coming out of Tennessee. The parents of a child who they named Messiah was ordered by a judge to change the name to Martin. It's an amazing story, which you can read here. I wrote about our baby naming books back in April, so I won't go over that again. goodreads has a feature called "Listopia," which is lists of books on topics or with special features. 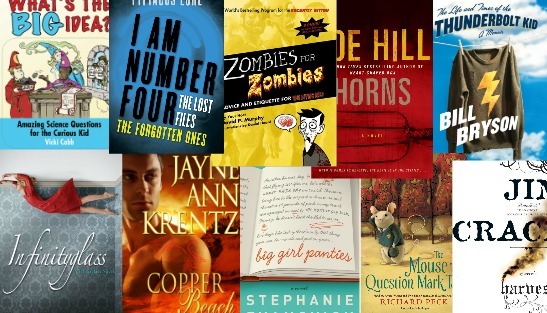 Readers get to vote on their favorite books from the lists. One of the lists is "Novels with People's Names in the Title." There are 613 books on the list! 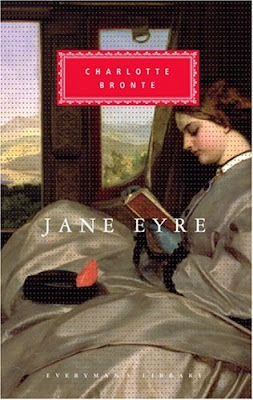 The top ten is really just 3 books, Jane Eyre by Charlotte Bronte [F BRO], Emma by Jane Austen [F AUS], Matilda by Roald Dahl [J DAH], plus the seven Harry Potter books by J.K. Rowling [J ROW]! I don't know who's responsible for the list, but, since it's called "Novels with..." I don't really think the Shakespeare plays should be on the list, nor should #76, "The Midnight Ride of Paul Revere"--it's a poem for goodness sake (we have a copy, illustrated by Jeffrey Thompson, in the children's room [J LON])! #115, Breakfast at Tiffany's by Truman Capote [F CAP], is suspect too. Yes, there was a Tiffany family, but, the Tiffany's of the title is a business establishment. Strangely, Major Pettigrew's Last Stand by Simonson [F SIM] is on the list twice at #96 and #111, and it's not the only title to appear more than once. Whoever curated the list, definitely didn't do a careful job! What's your favorite novel with a person's name in the title? I hope you're aware of the collection of 3M ebooks in the GMILCS consortium. I've posted about it here, if you need an introduction. Remember, all you need is a device and your library card and you can download an ebook 24/7! I did a Google "news" search on Woolworth's and came up with this article about Woolworth's, which I thought was totally defunct, but which the writer states is "Australia’s largest retailer and a high-quality company." If I were given to superstition, I might think about rushing out and investing. But, I'm not, and like Mark Irwin and Donald Hall, I'm content with remembering Woolworth's from its earlier time as a 5 & 10 cent store. and at attention in the always Christmas air. not to forget, but to remember to live. 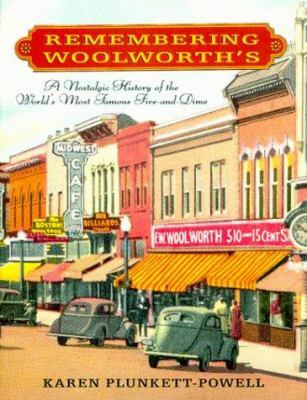 If you have fond memories of Woolworth's, you may appreciate Remembering Woolworth's: A Nostalgic History of the World's Most Famous Five-and-Dime by Karen Plunkett-Powell [381 PLU]. Steps and Staircases is the place to be for the Poetry Friday Round-Up. Next Friday there will be no Poetry Friday posting, so come back on the 30th. A few months back, Time.com ran an article titled, "Reading Literature Makes Us Smarter and Nicer." What this means basically is to slow down with our reading, savor the details, appreciate the language, and to think about the social and emotional issues presented. It doesn't necessarily mean you have to read only the "classics," but, classics have been around for a long time exactly because they cause us to think. First day anxiety is common for kids starting school for the first time, or changing schools. So common, in fact, there's a specific subject heading, First day of school -- Fiction. Parents can help their children by being supportive. A Google search under "helping your child start school" reveals dozens of articles for parents to consult. 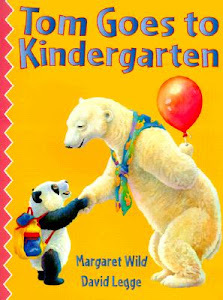 PBS Parents has an article with links simply titled Starting School. Perhaps the best way for you to help a child is to relax, don't let your anxiety about the upcoming experience color their first day! Have you heard of the site, Chockadoc? Its descriptive tag line is "Chock-a-block full of great documentaries!" and it doesn't lie--there are more documentaries than you could probably view in a life time! One of the documentaries that I came across on the site is The Mystery of the Miami Circle. Sit back and be prepared to learn about the people who lived in Miami before it was Miami. July 1998, downtown Miami, Florida. Six apartment blocks have just been demolished, to allow the construction of two brand new 40-storey skyscrapers. As construction workers prepare the site, they notice a strange phenomenon in the ground – a perfectly preserved circle of large holes, almost 13 metres across. What they had stumbled upon would generate huge excitement and controversy: either they had unearthed a rare and mysterious 2,000 year old Indian site – or a 1950s septic tank, an ancient inverted American Stonehenge or a unique Mayan village in North America. For a while theories ranged far and wide. But finally, after examining the strategically-placed holes, and the range of artefacts found around the circle – stone tools, shark bones, axe heads – archaeologists began to believe that this was a genuinely unique site – the remains of a mysterious forgotten tribe called the Tequesta. Isn't it amazing how little we know about the former occupants of the country in which we live! In a time when we have computers and electronics and all sorts of power equipment, it's fun to take a look at how early people survived. 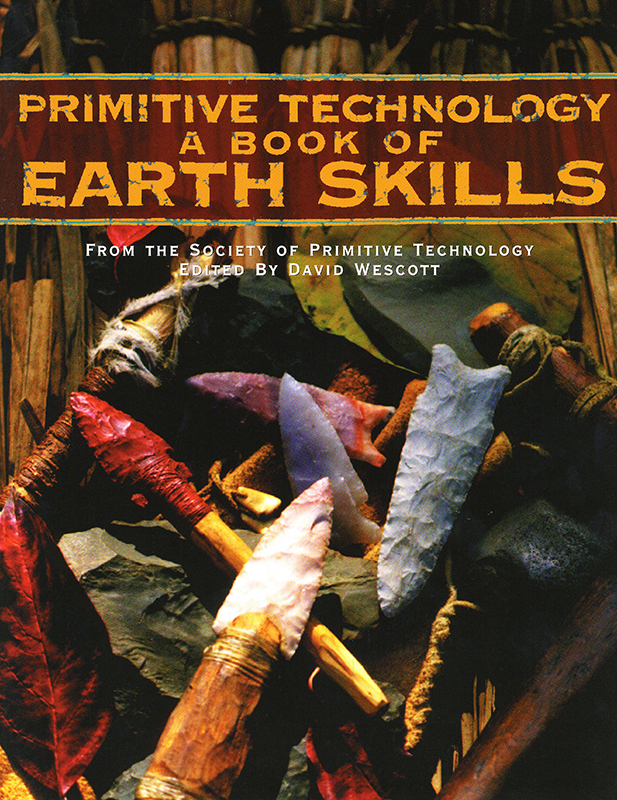 Primitive Technology: A Book of Earth Skills [930.1 PRI] reveals the remarkable work done with only the materials at hand--wood, stone, plants, bone--to construct buildings, clothe themselves, hunt, cook, and even to make music. 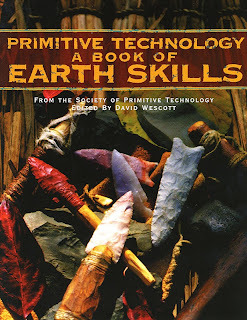 The rediscovery of traditional skills and technologies brings a deeper appreciation for the people, places, and spirit of the time that laid the foundation of what we know today as a "lifestyle". Why do They Torture Us? Why do publishers and movie makers torture us so by hyping upcoming releases so early? (That's a rhetorical question--we all know the answer.) The latest example is this trailer for the newest Muppet movie, which, if you can believe it, won't be released until March 2014! That's more than 6 months from now! Since I have been tortured, I feel it only fair to torture you! Now you, too, will be counting the days until the next Muppet extravaganza. In the children's room we have a collection of poems selected by Lee Bennett Hopkins called Got Geography! [J 811.008 GOT]. 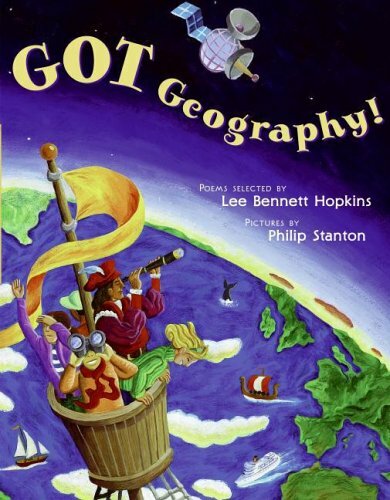 It is full of fun poems about maps and explorers, compasses, islands, mountains, and more. One of my favorite poems in the collection is by Carl Sandburg from "North Atlantic." and yet the sea always changes. and yet the sea keeps something back. The sea takes without asking. The sea is a worker, a thief and a loafer. Why does the sea let go so slow? Or never let go at all? it is a year, ten years. I wonder how Sandburg would write the poem today with our issues of climate change and rising sea levels! What makes the book particularly appealing to kids are the strikingly bold illustrations by Philip Stanton. Graphite pencil on rag paper for the base drawing, watercolors and acrylic paints for the base painting, and final touches using graphite crayons and watercolor crayons on top of the acrylic base were used to prepare the full-color art. Don't you love it when a book includes art notes so that curious people can learn about art media and methods. Renee at No Water River is hosting the Poetry Friday Round-Up for this week. Stop by and enjoy the poetry. Today Is "Sneak Some Zucchini onto Your Neighbors' Porch Day!" Yes, folks, it's that time of year when neighbors cringe when they see you walking down the street with your arms full of zucchini. The people at www.wellcat.com have declared today as a great time to sneak some zucchini onto your neighbors' porch, deck, front doorstep, etc. 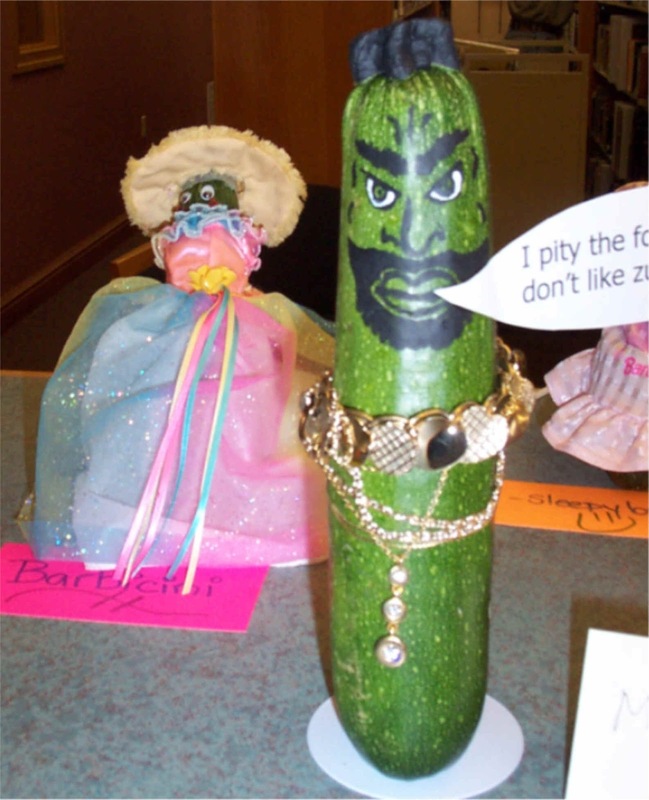 They are also kind enough to share some zucchini recipes in case your neighbors sneak the offending zukes back into your yard! Our cookbooks are full of tasty zucchini recipes, and we even have some books with only zucchini and squash recipes! The Classic Zucchini Cookbook: 225 Recipes for All Kinds of Squash, by Nancy C. Ralston [641.6562 RAL], is one. The dazzling Mr. Z! Star of the 80's television hit, The A-Team. Just so you know, some of the people working at the library don't have gardens, so they might even welcome you, and your abundant harvest of veggies, with open arms! It's Eat Local NH Month! Governor Maggie Hassan has officially proclaimed this month, August, as NH Eat Local Month for 2013. Part of document states, "The State of New Hampshire encourages the growth of local businesses and a local workforce, and wants local farms to continue to be part of our economy and the New Hampshire way of life." I think every informed citizen supports this statement! 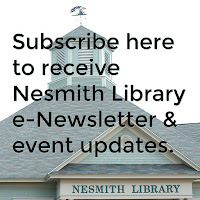 There are several online resources to direct you to NH's fine farmstands, wineries, restaurants, etc., including NH Eat Local Month, New Hampshire Made, and NH Department of Agriculture, Markets & Food. And don't forget to "like" the NH Eat Local Facebook page! In our collection we have these books which explain the whole eat local foods movement: Reclaiming Our Food: How the Grassroots Food Movement is Changing the Way We Eat by Tanya Denckla Cobb [641 COB] and Coming Home to Eat: The Pleasures and Politics of Local Foods by Gary Paul Nabhan [641 NAB]. Over the past decade there has been a growing awareness of food allergies and intolerances as the basis for health issues such as digestive problems, skin rashes, etc. It seems that gluten and wheat are major culprits. We have been trying to keep up with the subject through our collection. We already have books such as Wheat Belly: Lose the Wheat, Lose the Weight, and Find Your Path Back to Health by William Davis [613.26 DAV]. When I checked the other day, all 8 copies owned by GMILCS member libraries were checked out--interest is definitely high! Denise Jardine, author of The Dairy-Free and Gluten-Free Kitchen, has put together several videos to make the transition to gluten-free eating easier. Here's one on making your own gluten-free flour mix. If you think you may have a problem with wheat or gluten, do a little research first before jumping in with both feet. "Should You Go Gluten-Free?" an article by registered dietician, Katherine Tallmadge, would be a good place to start. On Friday, the FDA issued rules defining "gluten-free," so it will be now be easier for people with gluten issues to shop. I know a lot of people make a fuss when they see a snake, but it's probably because they were taken by surprise. If people calm down, and take a good look, they may be surprised at how beautiful a creature it really is! 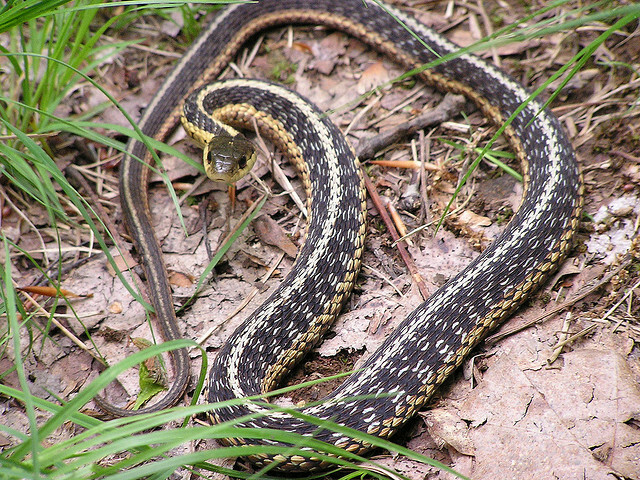 We've had garter snakes outside the Library, but I haven't seen one this year. They're perfectly harmless, unless you're a toad! The photo below shows a garter snake of the type we have here in Windham. a vanishing. Prophet under a stone. across the eye. I see the kill. Today's Poetry Friday Round-Up is taking place on the bayou at Reflections on the Teche. See you there! 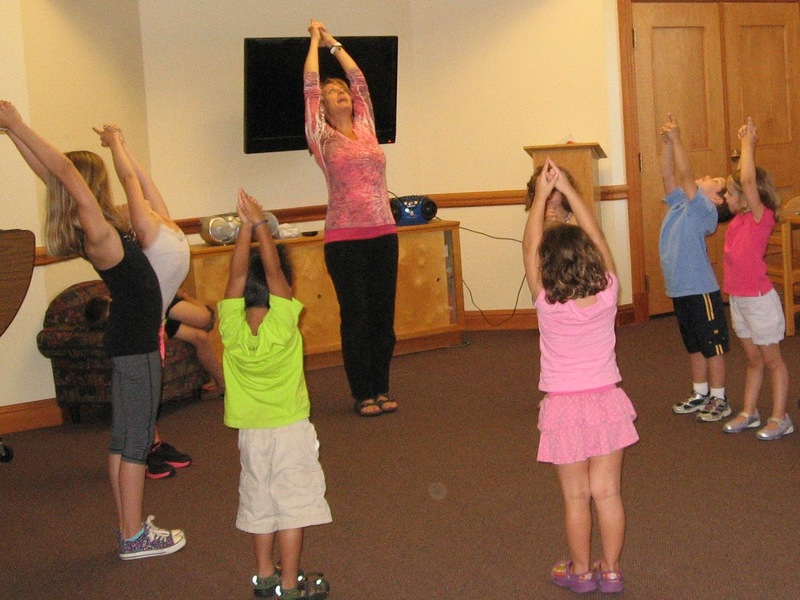 Yesterday we held a class, "Down Diggity Dog: Yoga for Kids with Heather Petro," which the children really seemed to enjoy. There’s no reason why everyone can’t enjoy yoga, and there are plenty of books and DVDs at the Library to get you started. We have yoga instruction going through much of the life cycle, starting prior to birth with Yoga for Your Pregnancy: Your Guide to Prenatal Fitness and a Healthy Birth with Kristen Eykel [DVD 618.244 YOG]. Babies can have fun with Baby Massage and Yoga by Anita Epple [FT 649.4 EPP]. Picture books such as You Are a Lion! And Other Fun Yoga Poses by Taeeun Yoo [JP YOO] and Babar’s Yoga for Elephants by Laurent de Brunhoff [JP BRU] introduce yoga to young children. I Love Yoga: A Guide for Kids and Teens by Ellen Schwartz [YA 613.7046 SCH] is for older kids. The Total-Body Yoga Workout for Beginners [DVD 613.7046 TOT] and Yoga for the Rest of Us [DVD 613.7046 CAP] are directed toward adult learners. A more fit adult might want to try Yoga Burn [DVD 613.7046 YOG]. Don’t be afraid if you’re a little out of shape or getting older. You’re covered with materials like Big Yoga: A Simple Guide for Bigger Bodies [613.7046 KER] by Meera Patricia Kerr, Chogaflow: A Unique Chair Yoga Practice [DVD 613.7016 CHO], or Keeping Fit in Your 50s: Flexibility Workout Essentials for a Changing Body [DVD 613.71 KEE]. And, who doesn’t need something to help relax? Relax and Renew: Restful Yoga for Stressful Times by Judith Lasater [613.7 LAS]. Relax AND enjoy yourself!